On 28 March 2018 at 12:00 UTC, the online services of the PlayStation®3-exclusive software “Gran Turismo 6” will come to an end. Prior to this on 31 January 2018, we will also end the distribution of downloadable content that can be used in-game. After the end period, it will no longer be possible to utilize online services such as the Community, Open Lobby, Quick Match, and Seasonal Events. The offline portions of the game can still be played. 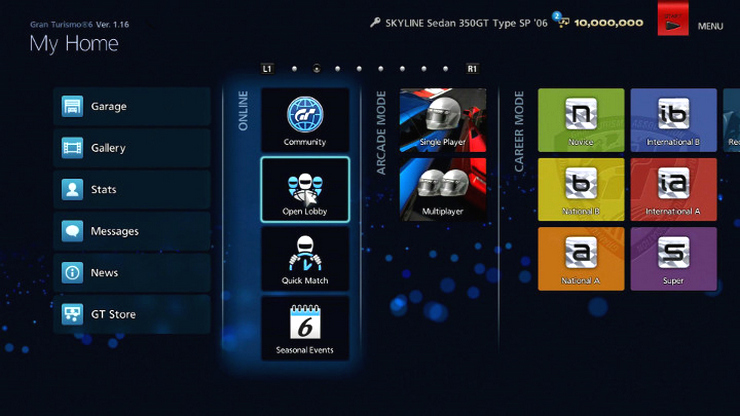 We would like to thank the many users of the Gran Turismo 6 online service since its first launch in 2013. From here on, we will continue to further improve the online services for the currently available title “Gran Turismo Sport”. Released alongside Gran Turismo 6 was the Android and iOS app “GT6 Track Path Editor” which will also be removed from its respective mobile storefronts on March 28th. Even if you keep the app on your phone you will no longer be able to transfer data between it and the PlayStation 3 title after the 28th. Gran Turismo 6 was originally released worldwide in December of 2013 and is currently the last numbered entry in the franchise. It was succeeded by Gran Turismo Sport on PlayStation 4 which was released in 2017. Gran Turismo 6 will remain available to download from the PlayStation Store and on disc from retailers. I’ve added the dates to the Watch List calendar.